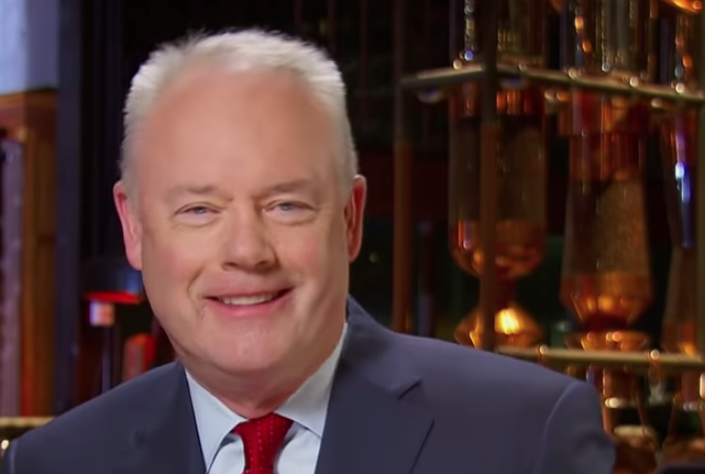 Starbucks CEO Kevin Johnson isn’t worried about competitors in the fast-growing coffee market in China. He says that competition is actually broadening the addressable market by introducing tea drinking Chinese to coffee. Starbucks has nearly 3,700 stores in China already and is generating double-digit transaction growth. For Starbucks, their growth in China and around the world continues to be driven by providing a unique customer experience that is like no other in their industry. The number one metric that we look at in China is total transaction growth. Those total transactions come from a combination of new stores that we build as well as same-store comps. We increased the number of stores in China by 18 percent this quarter and so if you put all of that together we had double-digit transaction growth in China. China is a market that is all about first mover advantage. It’s about building new stores and expanding our presence. In fact, we’re now approaching 3,700 stores in China. We entered ten new cities last quarter and we’re now in 158 cities in China. The addressable market and the growth opportunity in China is significant. So the priority we have is really expanding our footprint while we continue to enhance the experience in our stores, drive beverage innovation, and enable new channels for customers to engage with Starbucks, as we are with Starbucks Delivers. We are playing the long game in China. Whenever you have a large addressable market around coffee in China you’re going to have a lot of competitors come in. Some of those competitors are going to try and differentiate in different ways. They’re going to have to use price and be highly promotional in what they do. For Starbucks, we differentiate on the in-store experience. We differentiate on the quality of our coffee and we differentiate on the digital reach that we have through our partnership with Alibaba. The one thing that the competition is certainly doing in China is expanding the addressable market for coffee. It’s introducing the Chinese consumer, who is primarily a tea drinking culture, to coffee. That’s helpful for the growth in the addressable market for Starbucks. We’re confident we’re going to play our game. We know how to create the kind of experience and leverage the brand strength that we have in China to create that unique differentiated opportunity for us to engage in customers. So I think if you look at the overall landscape of who is growing the most share of transactions and engagement with the customer, I think Starbucks comes out on top. When you look at a competitor in China like Luckin and they talk about the number of units that they’re growing, I think sometimes a unit would look perhaps like a Starbucks store, but most of the times they look like a point of presence. That said, we have a lot of points of presence. We’re at 3,700 stores. We’ve also got our global coffee alliance with Nestle coming in with food services and CPG. The reason you want to come to Starbucks is because we create that unique customer experience. We serve the world’s finest Arabica coffee. Our partners will handcraft that beverage to your perfection. We create an experience like no other in the industry. We’re going to continue to stay true to the experience we create in our stores and how we extend that experience with a digital mobile relationship. The China Digital partnership with Alibaba is making great progress. We now have the virtual Starbucks store integrated into the Alibaba properties. That’s now reaching 600 million Chinese who use Alibaba on a daily basis. We think the strategy that we’re on is the right one. It’s it’s allowing us to continue to grow transactions in the double digits and we’re going to continue to play the long game with the strategy that made Starbucks what it is today in China.